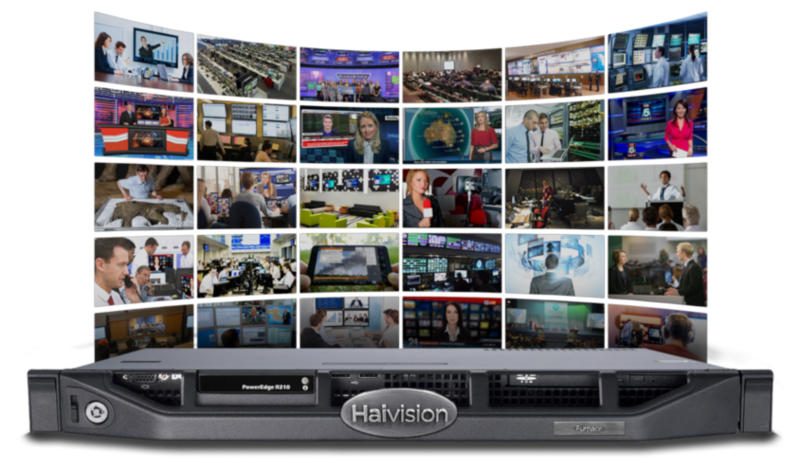 The Haivision Furnace IPTV media system provides a complete end-to-end IP video solution to deliver live and on-demand broadcast video and media content to every desktop, monitor and digital signage player throughout your organization. With management tools to view and control the content that your audience sees, Furnace is the ideal solution for distributing secure video. See below for specific details on each SKU or call us at 914-777-3615. We’d love an opportunity to help you get the answers you need. A complete ecosystem to deliver broadcast channels and internal content everywhere. InStream is a platform-independent software player delivered “on-demand” to the desktop through simple web links. InStream supports MacOS, Windows, and Linux operating systems. InStream requires no software installation, software upgrades, or maintenance. It is secure, easy-to-use, and allows for very controlled player distribution and a harmonious user experience across the enterprise. Keep your employees on top of current events and financial news with a scalable IPTV solution that delivers broadcast TV channels to every desktop and public display throughout your organization. Many of the world’s leading financial and oil and gas companies rely on Haivision IPTV solutions to help their employees make more informed decisions. Hedge funds, brokerage houses, banks and commodity trading firms have successfully deployed Haivision Furnace to bring live video content, including broadcast channels, analyst briefings and IPO updates to traders’ desktops – making it easier for them to gather information, analyze the market, and complement data analysis and valuation. With many distribution options over secure multicast, Furnace helps you get your media content where your audience needs it most. ON DESKTOPS Haivision’s InStream “zero install” player is browser-independent and lets viewers access up to 64 channels of content on their desktop. IN PUBLIC AREAS Haivision’s Mantaray set-top boxes get your content to monitors and displays throughout your facility. ON DIGITAL SIGNAGE Haivision’s CoolSign player integrates with Furnace to deliver live video mixed in with your digital signage content. When distributing broadcast channels or confidential information, the Furnace’s 100% secure end-to-end AES encryption ensures that your content is not copied and distributed without authorization. Support of user and group authentication allows content to be made available to select audiences only. Minimizes burden on IT – no endpoint software to install – no upgrades – browser independent player experience for Mac, Windows, and Linux. The Furnace enterprise IPTV system gives administrators full control to push specific channels to individual users and groups viewing from their desktops. Administrators can also distribute specific content to set-top boxes connected to monitors and screens throughout a facility. Each viewer’s or group’s IPTV experience can be set up on-the-fly or planned for with pre-set schedules for content. The viewing experience is tailored to a user’s authentication and administrators can view reports to monitor user activity. Haivision provides Electronic Program Guide (EPG) data to give your IPTV viewers, on both desktops and displays, menus showing broadcast programming and scheduling information for current and upcoming content. Furnace Base S-VFB-100 Single appliance systems, available for live only or with up to 100 Mbps of VOD. Furnace Advanced S-VFADV-300 Dual appliance systems, available for live or with up to 300 Mbps of VOD. Mantaray Set-Top Box S-VF-MANTA 1080p30 HD, XGA, H.264 SD & MPEG 2/4 – HDMI, Composite, Component and VGA Outputs – InStream viewer, EPG. CoolSign Display Engine S-CS-P-DE2 Access license and software, operating system, required drivers and codecs, and a compact signage hardware platform. If you want more information about the Haivision Furnace product line, please call us at 914-777-3615, email INQUIRY@ITPROS.COM or click the button below to be redirected to our contact page.